"Montée started when my wife and I were shopping for some gear and just weren't excited about the options," founder and creative director Jason Parry says. "I came home really energized about the idea of starting an outdoor brand and began working on the logo and some product designs." Now Parry is a jack-of-all-trades, serving as a designer and manufacturer for various products. When things get too hectic, his wife Emily Parry—who runs another business of her own—helps out. 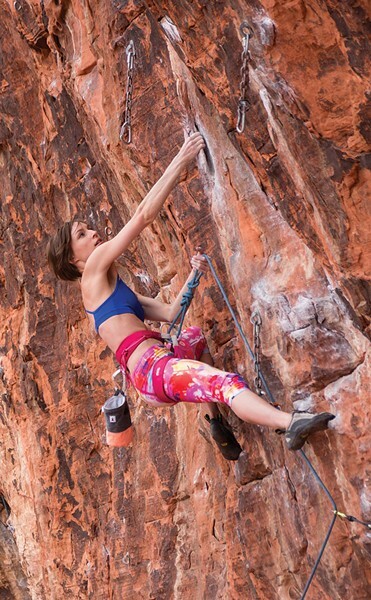 Although they want to expand into a wider range of climbing accessories, Parry initially focused on chalk bags. For the uninitiated, rock climbers use chalk dust on their hands to absorb sweat and other moisture on their skin, thereby increasing friction and improving their grip. Climbers can clip chalk bags to their belts or harnesses for longer climbs that might require extra chalk. The bags come in real and faux leather, as well as other textiles, and in a wide variety of patterns and colors. They can also do custom, personalized orders. In addition to chalk bags, the company also offers slim leather wallets to hold a climber's cash and cards without adding much bulk, as well as clothing accessories like beanies, tank tops, T-shirts, snap-back hats, hoodies and more. It's a small operation so far—run only by Parry and his wife—but it's growing rapidly. "To me, what makes Montée special is the quality," Parry says. "Being a premium brand, we don't have to be so worried about finding the cheapest materials. So when we design a new piece, we can just focus on making the best product we can." Parry says they're grateful for the support they've received from customers since the business was founded. "We also sell to an amazing community," he adds. "We love hearing feedback from our customers and seeing the photos they post. Their feedback and ideas helps us steer the brand in the right direction." If you've tried these products before, be sure to let them know what you think. 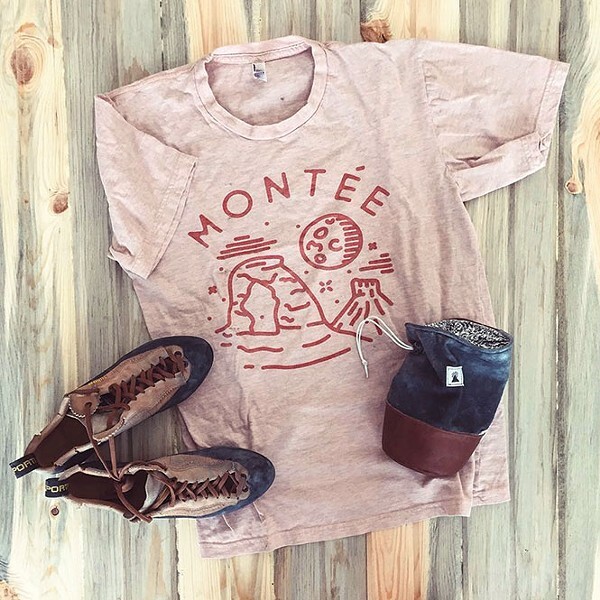 At the moment, Montée Climb sells exclusively through their company website and etsy.com, but they're looking to branch out to local retailers. "So, request us as your local climbing store," Parry says. They also sometimes appear at local markets, like the recent Salt and Honey Market. You can stay up-to-date on their location by following them on social media.